In the early 1960's two young visionaries, Richard Price and Michael Murphy, founded a place to explore and nurture what Aldous Huxley had named the “human potentialities,” his expression for the fantastic reaches of mind and body hinted at in the altered states of mystical literature, psychical research, and psychedelic experience. They named this new place "Esalen." And they sparked an enduring movement that has changed countless lives. Supernature: Esalen and the Human Potential is a documentary film series about the influential Esalen Institute in Big Sur, California, and The Human Potential Movement it spawned. 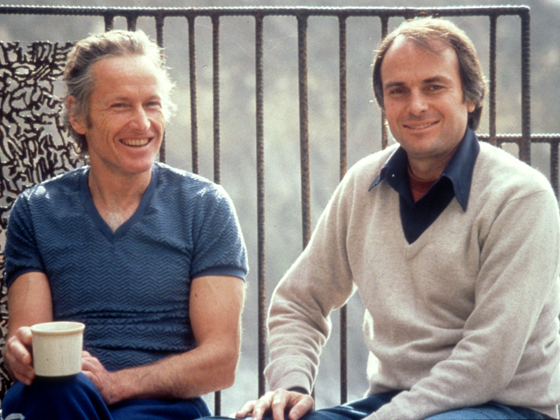 At a time of unprecedented political, social and ideological conflict, we believe the world would benefit from a broad, beautiful, and sophisticated exposure to the ideas and practices fostered by Esalen, particularly those that move us beyond the present schizophrenic split between religion and science. We believe that the world is crying out for positive, even ecstatic models and ideas that can embrace the best of our religious pasts without being bound to those pasts; that can celebrate the discoveries of science without equating these discoveries with a materialism of despair and meaninglessness; and that can finally envision the human being as a conscious embodiment of the evolving cosmos. With Supernature, we hope to bring exactly this vision to a much wider audience and so play our part in the transformation and future of American culture. There are two big ideas explored in the series: (1) the notion of a living, conscious cosmos evolving into and beyond human nature to a future supernature ("the universe is a machine for the making of gods," as a French philosopher once put it), and (2) a model of Mind as filtered through and reduced by brain but not produced by it, that is, a kind of Supermind or cosmic intelligence of which our present human mentalities are but tiny rivulets but also intimate and precious expressions. Hence the core notion of the "human potential": we are infinitely more than we imagine; we are not yet what we can be; we will be immeausurably more.